At a private round-table organized by “Grass-to-Grace Group” in Lagos on Friday, I sat quietly but watched keenly as testimonies gushed out of the mouths of beneficiaries of the humanitarian gestures of renowned global businessman and front-line politician , Dr. Orji Kalu. The event which was hosted by Dickson Emeka, a beneficiary of the free education policy of Kalu’s administration as Governor of Abia State, had in attendance employees, mentees, associates, family and friends of the former governor. At the gathering, it was obvious that the robust goodwill Kalu enjoys among his people can be attributed to his unbeatable compassionate attributes. Having known the Orji Kalu family for almost three decades, I was not surprised with the comments from people , recalling how the former governor had impacted their lives positively at different times. Hence, I make bold to say that despite their humble beginning, members of the family have carved a niche for themselves in different capacities. Of course, there is no way you can walk without your head shaking but above all, in all ramifications and by all standards, Dr. Orji Kalu, has projected the name of his family by showcasing his talented leadership qualities especially during his tenure as governor. 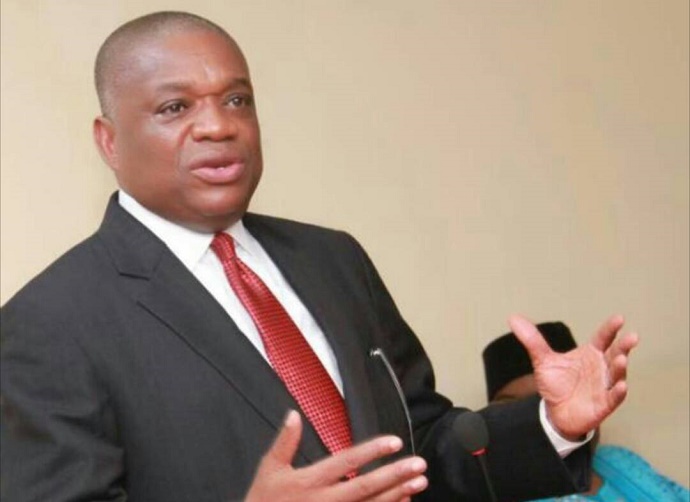 However, most of Kalu’s critics are usually not objective in their positions but rather they see the former governor’s ever-rising profile as a threat and as such, the “pull-him-down syndrome” sets in. As much as I am not holding brief for Kalu, it is only fair to acknowledge, celebrate and reward the outstanding qualities of the consummate politician and astute businessman. As the race for the 2019 Abia North senatorial seat gains momentum, it is obvious that the red chamber will have among other members, a dogged, courageous, energetic, humble, pragmatic, responsive and compassionate star in the person of Dr. Orji Kalu, in 2019. Kalu has used many platforms to showcase his strength to his constituents and Nigerians at large. As a successful business mogul, consummate politician and philanthropist per excellence, I am convinced that Kalu will deploy his skills in advocating good causes toward building a decent and just society devoid of hunger, poverty and human degradation. Let us give Kalu the opportunity to provide quality and robust representation the people of Abia North Senatorial Zone, have been yearning for..
For me, “ I stand with OUK”.